Hollywood is home to actors, models, singers, film directors, producers, authors, comedians and so much more. The American movie industry has produced a lot of celebrities and is still in the business of doing so. Most of these celebrities are very wealthy and so are their families. Many would be deceived into thinking that these celebrities only gain their wealth from their careers but that would be a mistake as most of them have the sun of fame and wealth smile on them only after they enter into a conjugal relationship. Hollywood has seen celebrities who became more wealthy after their marriages. Some of these families have become a dynasty, leaving a trail of achievements and accomplishments in their wake. Interestingly, the children born into these homes grow up to continue in the legacies of the parents or grandparents. Here are 12 richest families in Hollywood and how they came about their wealth. Salma Hayek is a popular Hollywood actress who is best known for her roles in Frida and Desperado. The screen goddess is of Mexican descent and was formerly a model. She entered into Hollywood in 1991 and has starred in a lot of box buster movies. Her successful roles and being the wife of a prominent French businessman has brought her to a net worth of $7 billion. Salma is married to Francois-Henri Pinault the French-born C.E.O of Kering, a luxury goods conglomerate in Paris. Francois is also the president of Group Artémis – an art auction company founded in 1990. He began his entrepreneurial exploits at a young age, as he co-founded a soft computing company while in Business school. He joined Kering formerly called PPR in 1987 and rose to the position of vice president in 2003 and eventually its Chief Executive Officer in 2005. Francois has obviously been successful in his business pursuits and has made a name for himself and his family in France and elsewhere. Francois is a father of 4; he had 3 children from his previous relationships while the last child is from his present marriage to Salma Hayek. This family is worth a mouth-watering sum of $12 billion. Kate Capshaw was born Kathleen Sue Neil in 1953. She became popular as an actress and began her career in the late 1900s with her role in the American Soap Opera The Edge of Night. She continued her acting career in subsequent years and came to limelight in the 1984 movie Indiana Jones and The Temple of Doom, where she played Willie Scott. The movie was directed by award-winning director Steven Spielberg who would later become her husband. Kate left the movie scenes around 2002 and concentrated more on humanitarian activities. However, she is married to a billionaire and iconic film producer and director, Steven Spielberg. They have a total number of 7 children, some from their previous relationships including actress Jessica Capshaw. Spielberg had produced famous movies like Indiana Jones, Extra-terrestrial and Jurassic Park. Movie production and directing are the main source of his wealth, however, he and his family are the second wealthiest family in Hollywood rounding up to the sum of $3.6 billion on net worth. I know what you are thinking and you are absolutely right. It is the family of the late pop king Michael Jackson. The family’s wealth is drawn from the music careers of its members. The progenitors of this family are Katherine and Joe Jackson. Late Joe Jackson was a music manager in his days and is also credited with founding the Jackson Brothers -a musical group made up of his six children. The group was founded in 1964 but didn’t last long as the siblings split. However, even after the split, Jerome and Michael Jackson became forces to reckon with in the music world as solo musicians. Michael became one of the greatest musicians the world has ever known and before his death, he was worth $500 million with his children worth $100 million each. Another extremely famous member of the family is the talented musician and actress Janet Jackson. She is currently worth a whopping $175 million. Collectively, the family is worth $1.3 billion making them the 3rd of the richest families in Hollywood. 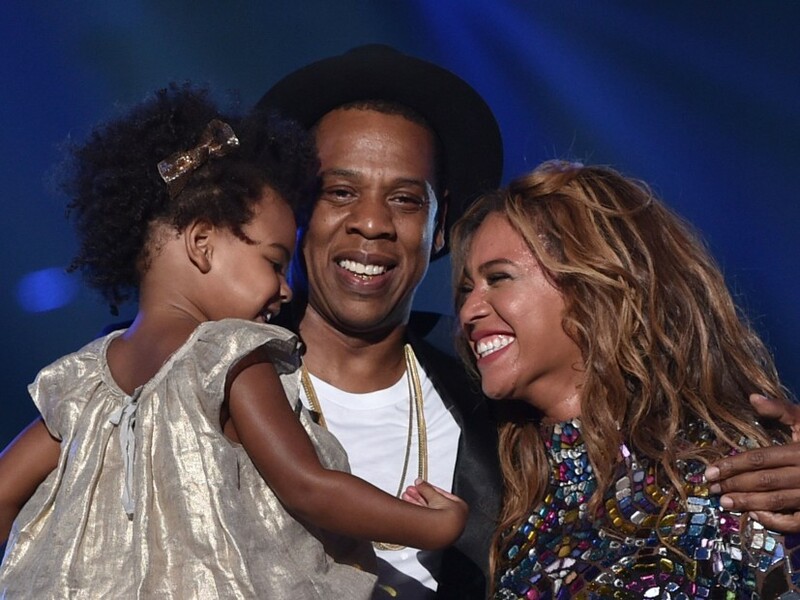 The Carter family is made up of famous rapper Jay Z, his wife, Beyonce, and their children. Jay Z has been in the music scene for a long while not only as a rapper but as a record producer. As of 2018, Jay Z was estimated to have a net worth $900 million. He has various awards to his name up to the tune of 106. Among his awards the prestigious Grammy Award which he has won 21 times under different categories. He is married to the musical goddess, Beyonce. She has released a lot of billboard topping and award-winning songs in her time. She is also a Grammy award-winning star and has gone home several times with the award. She is a mother of three and is doing well at keeping her home as she is at keeping her career. She is currently worth $335 million. Together, their family is worth a staggering $1.1 billion. David and Victoria Beckham have been married since 4th July 1999. The couple, who met at a charity football match are now proud parents of three children. David Beckham became famous during his active days as a professional footballer. He retired in 2016 after a hugely successful career in which he won 19 major trophies with his various clubs including Manchester United, Real Madrid, AC Milan, amongst others. He is also a businessman and from his professional football and entrepreneurial activities, he is worth $450 million. He is married to Victoria Carol Adams who was a former singer with the all-girl group Spice Girls. Her popularity with the group shot her to fame, however, she would later leave the group in 2000. Victoria Beckham is also a fashion designer and businesswoman who had acquired a lot from her pursuits, she is worth as much her husband which puts the Beckham’s net worth at $900 million. The Jenner-Kardashian clan is the family responsible for the popular reality television show, Keeping up with The Kardashians. The show has earned the family a lot of fame and wealth since it’s debut episode. Its fame has been used by the family as leverage for success in other business ventures. The progenitors of the family are Kris and her transgendered spouse, Caitlyn (formerly Bruce) Jenner. Kris Jenner is worth a whopping $100 million and so also is her spouse. Another significant member of the family is the social media personality, Kim Kardashian, who is presently the wife of the iconic rapper Kanye West. Currently, Kim is worth $350 million – which is mostly generated from the various reality shows she features in. Other members of the family are also worth a fortune; some of which was gotten from investments in other activities. Collectively, the family is worth a little over $500 million and is on the list of the 6th richest families in Hollywood. Talk of a power couple and here you have it – The Bündchen family. This family is made of a successful England quarterback player, Tom Brady and the one time most beautiful woman in the world, Gisele Bündchen. Gisele is one of the most successful models in the world, maintaining the top spot on the list as the highest paid model in the world for a period of 10 years. The couple got married in 2009 and have been together ever since. They are parents of two children and live in a mansion in Los Angeles worth $20 million. The Brazilian model is estimated to be worth $350 million even after her retirement from the runway. While enjoying her retirement, she has signed various deals with fashion brands like Chanel and the likes, hence, the steady flow of income. Her husband who is one of American greatest football players is estimated to worth $130 million. Collectively, the family is worth $480 million. This is a British family, most popular for their reality television show; The Osborne. 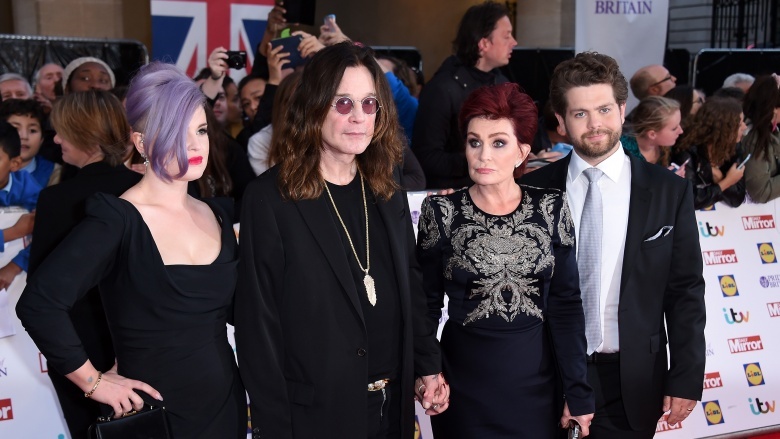 The show featured the progenitors of the family – former rock star, Ozzy, his wife, Sharon alongside their two children. It premiered on May 5, 2002, and had the record of being the most viewed television series. However, in 2005, the show came to an end. The Osbourne garnered wealth and fame from this show up to the tune of $470 million. Ozzy and his wife are said to have the larger share of the income as they both worth $440 million while their showbiz children are worth $30 million. Barbra Streisand and James Brolin are the progenitors of this family. Barbra started off as a musician before joining the acting train and was successful in both careers with a plethora of awards such the Grammy and Emmy Awards. She is married to James Brolin and they have three children including actor, Josh Brolin. James Brolin is a widely successful actor and director; his movie credits include Royal Hearts, The Amityville Horror, WestWorld, among others. He has also won several top awards – two Golden Globes and an Emmy Award. The actor is currently worth $50 million while his wife is worth $370 million; together, the family is worth $420 million including assets. The Hanks family also ranks among the richest families in Hollywood. Tom Hanks is a popular actor and filmmaker who has made a real fortune from his on-screen days. The Captain Phillips star began professional acting in the late 1970s and is married to a co-star and actress Rita Wilson; the family has been together for 26 years and is still counting. Rita has also done very well for herself in the movie industry as she has appeared in several movies and produced a few. Asides acting, she is a songwriter, singer and is worth $20 million. Tom and Rita have four children, two of which are from Tom’s previous marriage to Samantha Lewis. The couple is presently worth a mint, up to the tune of $420 million, with a very large chunk of that coming from Tom Hanks. 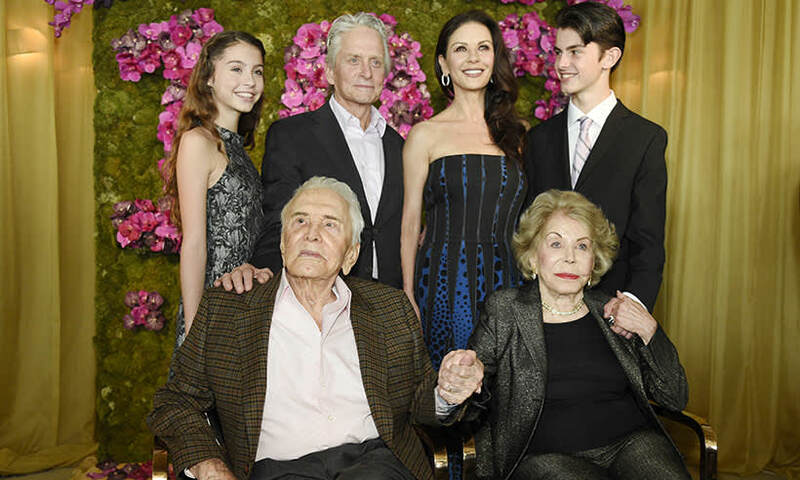 The Douglas family is made up of Michael Douglas and British actress, Catherine Zeta-Jones. Michael is the son of one of the surviving actors of Hollywood’s Golden Age, Kirk Douglas. He followed in his father’s footsteps and became an actor and a filmmaker. He began his career in 1966 and has been active since then. He is an iconic actor and producer, who has received several awards. and has a net worth of $300 million. He got married to Catherine on November 18, 2000. The couple has two children and currently live in a luxurious home in Bedford, New York. Catherine is a well-known face in Hollywood and is most popular for her role in the British drama series The Darling Buds of May as Mariette Larkin. She began acting at a very young age and have received various accolades in form of awards for her various acting roles. In 2018, she was estimated to worth $105 million, thereby bringing the family’s wealth to $405 million. You would expect that the Will Smith Family would make our list of richest families in Hollywood. The Smith family members are all popular in show biz – a family of actors, actresses, and musicians. The patriarch of the family is the screen god and massively successful black actor, Will Smith. The actor has graced our screens since 1986 and is still very much active in the industry today with a net worth of between $250 million to $300 million which comes as no surprise at all. His wife Jada Pinkett is also an actress and has made a name for herself in the industry. She is the mother of musicians Willow and Jaden Smith. Jada and her successful kids are collectively worth $33 million which further boosts the family’s wealth to the tune of about $300 million. You might be wondering how a family known for shipping and building mansions found their way into our list of richest families in Hollywood. Well, one of the family’s descendants became an actress in Hollywood and a very successful one. This family was known for being the richest family in America at some time. Its progenitor, Cornelius Vanderbilt was America’s richest until his death, and so also was his son. The family experienced a fall in their wealth with the introduction of new ways to wealth by the younger generation. However, the family is currently one of the richest families in Hollywood. Its notable member who has earned a fortune for the family is Gloria Vanderbilt – an artist, fashion designer, author, and actress. She began acting in the early 1950s and appeared in a couple of drama and television programs. Before her death, she was worth $200 million. This wealth was gotten not only from acting but other endeavors which she embarked on. She is also the mother to a successful television presenter Anderson Cooper, who is worth $100 million. The Vanderbilt family’s total worth is $300 million.